Mentors bring huge value to the geekStarter high-school program, and our 2018-19 teams are lucky to work with an amazing group of mentors. Let us introduce them! Chris is a graduate student studying Alzheimer’s Disease using bioinformatics at the University of Lethbridge and former Johns Hopkins University Emerging Leader in Biosecurity. He first became involved in iGEM in 2012 as a High School student, and now volunteers on the iGEM Security and iGEM Insights committees. Chris is a geekStarter mentor because he believes that synthetic biology has the potential to change the world, and that students are going to be the ones to do it. Dennis received his BHSc. in Biomedical Science from the University of Calgary in 2017. 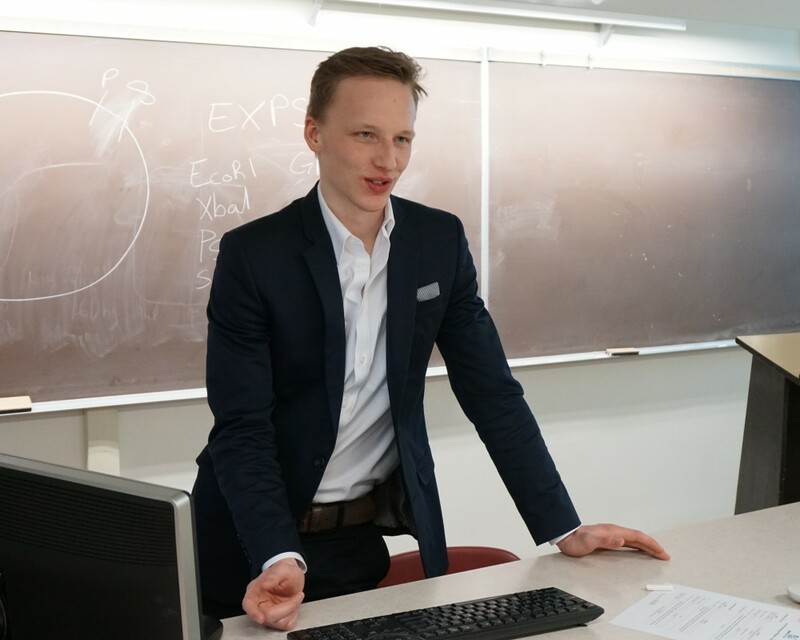 His iGEM experience began in 2014 with the University of Calgary team, which took on the task of developing an on-site diagnostic tool for malaria to be used in the developing world. He has been a geekStarter mentor for teams from Ted Harrison School, Central Memorial High School and Our Lady of the Snows Catholic Academy. Dennis supports geekStarter in offering unique and invaluable learning experiences to students interested in the life sciences. Dustin Hall works as a Process Automation E.I.T. at the DOW Chemical company at Prentiss AB. In his spare time he enjoys hosting board game nights and traveling with his wife, Jamie. Dustin has been mentoring Lacombe high school students for FIRST robotics with a focus on leveraging his control systems & safe work knowledge. He has joined geekStarter to continue expanding his mentoring experience and further assist Lacombe high school students. Eiden is a software engineering student looking to specialize in machine learning. In the past, he also studied mechanical engineering and mechatronics. He has always been interested in robotics, and works on various electronics and Arduino projects in his spare time. He signed up as a geekStarter mentor in the hopes of fostering the same desire to work in STEM in younger students. Emily Hicks is a graduate from the University of Calgary with an honors degree in Biomedical sciences as well as an alumnus of Singularity University. Always passionate about synthetic biology and how it can help the environment, Emily helped to lead the University of Calgary’s iGEM competition team to multiple international awards for their environmental projects. An avid public speaker, Emily has received several recognitions including being a global finalist in the Institution of Engineering and Technology’s Present Around the World competition as well as an invited speaker for Singularity University, The Atlantic and Oxford University. Currently Emily is President and co-founder of FREDsense Technologies. Coupling genetic engineering and electrochemistry, FREDsense creates portable devices that enable anyone, anywhere to measure trace contaminants in their water. Having founded FREDsense directly out of her undergraduate degree, Emily is currently a Kairos fellow, a top 30 under 30 in Canada for Sustainability, one of Bay Street Bull’s Top 30 under 30 Canadians and featured on Real Leader’s list of 100 young visionary leaders. In 2018, Emily was the winner of the She Loves Tech Global finals in Beijing, China. Always passionate about DIY bioengineering, Emily loves mentoring high school students in synthetic biology projects and other lab activities throughout Alberta. 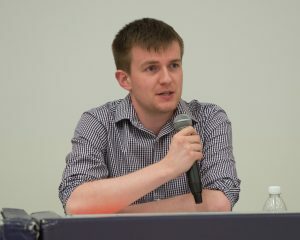 Ethan is currently a third-year chemical engineering student in the Computer Process Control Option at the University of Alberta. As an iGEMer for several years now, he is fascinated by the potential applications of biological technologies. Aside from being in the lab and studying hard, he enjoys making visual graphics, filming videos, and watching Netflix. Kushan is a 4th year student in the Mechanical Engineering program at the University of Calgary, taking a minor in Manufacturing Engineering. Furthermore, for the past three years he has been an active member of Schulich Aerodesign, which designs remote controlled planes. geekStarter sparked his curiosity because the projects that the program had taken on seemed fascinating to him and he wanted to learn more. He also felt that he had relevant knowledge and skills that he could offer, as pertains to engineering design. Lisa obtained her M.Sc. (2016) focusing on microbial hydrocarbon remediation. She is a co-founder & head of biological development at FREDsense, building biosensors for water chemistry analysis. She has experience with operon design, protein expression & engineering, alternative microbial chassis, anaerobic & environmental microbiology, genomic analysis, presentations, and poster design, and has been involved in iGEM (2012-present) as a team member, leader & mentor. This is Lorna’s 3rd year in Robotics at Ecole Lacombe Comp. High School. She is a parent volunteer with strong organizational skills and she does whatever is needed for the club and the students. Lorna enjoys watching the students troubleshoot issues and work together towards solutions. She became a mentor for geekStarter because it was an exciting opportunity for her to work with a smaller group on a project. Lorna grew up on a farm in Saskatchewan so the project she’s helping with (building a robotic wolf dog that scares away animals/intruders) would have been something her family may have considered to keep animals out of their garden and yard. She feels that she can provide the students with her personal perspective and helpful insights on the project. Luke is a third year undergraduate student at The University of Lethbridge pursuing his BSc. in Biochemistry. He has a keen interest in synthetic biology and molecular biology. Beyond mentoring in iGEM, he also participates in research, exploring the role of non-coding RNA in Alzheimer’s disease. Luke signed up to be a geekStarter mentor because he highly enjoys STEM outreach and education. He is also very passionate about new discoveries in science and enjoys being in the presence of hard-working scientists. Luke is very excited to be a mentor this year and looks forward to witnessing everyone’s success. Masooma is studying Mechanical Engineering at University of Calgary. She decided to sign up as a geekStarter mentor because she really enjoys STEM related activities, and because the geekStarter program is very unique in combining engineering with entrepreneurialism. Masooma is really looking forward to helping her team and also learning from her experience as a mentor. In her spare time, she enjoys reading, baking and spending time with family and friends. Richard learned how to program at Blackburn College in the days of punch cards and mainframe computers; the first language he learned was COBOL. After completing his programming course in Blackburn, he joined the Royal Air Force (RAF) and worked in avionics for several years before moving to flight simulation. After leaving the RAF, he started working in the oil and gas industry, first as an underwater ROV pilot/technician before finding his calling in the field of Logging While Drilling (LWD). Richard worked as an LWD engineer in the North Sea region and then became the LWD operations manager for Sperry Drilling (now Halliburton) in Nigeria. Richard now owns and operates Blisslogik, an online publishing company and he works for RBC as an advisor. Richard loves technology; being a geekStarter mentor keeps his skills fresh and allows him to share his engineering knowledge and practical experiences with young innovators. Robert is a scientist with a background in Chemistry, Biology and Nanoscience. By day he works as a PhD student at the University of Calgary to create the next generation of sensors for military applications. Outside of the University, Robert is a Co-Founder of FREDsense Technologies, a startup company using genetic engineering to commercialize portable sensors for water quality monitoring. He became a mentor to give back to the community that first sparked his interest in research and product development. Sachin is a software developer with 14.5 Years of experience and proficiency in ASP.NET involving development of client/server, multi-tier web and desktop applications using C#, ASP.NET, and web technologies. He is experienced in delivering IT migration and development projects spanning a broad spectrum of business domains including Oil and Gas, Railroad, Visual Media, Mining and Automotive. Sachin is a passionate learner and loves to design and build software tools and applications using the latest technologies. On the personal front, Sachin is part of a family of 3 with his wife (Soumya) and 10 year old daughter Sukrutha. He loves playing Badminton with his daughter, travelling across the Canadian Rockies and watching superhero movies with his family. Sachin signed up as a geekStarter mentor to learn and help build robotics solutions to help solve real world problems and to have a fun time being part of it. 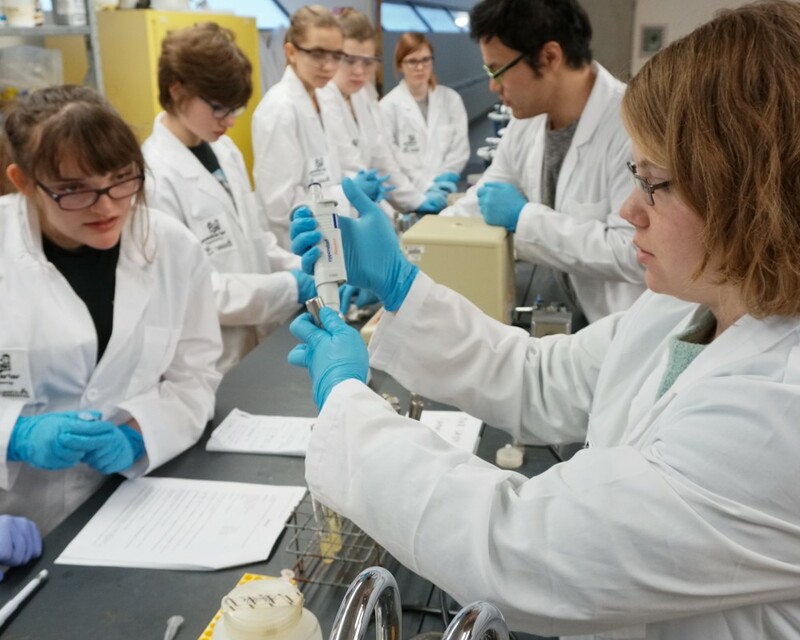 Sydnee has been involved with the iGEM competition since 2015 at both the high school and collegiate levels focusing on wet lab and human practices. She has finished her BSc in Biochemistry (Honours) at the University of Lethbridge. 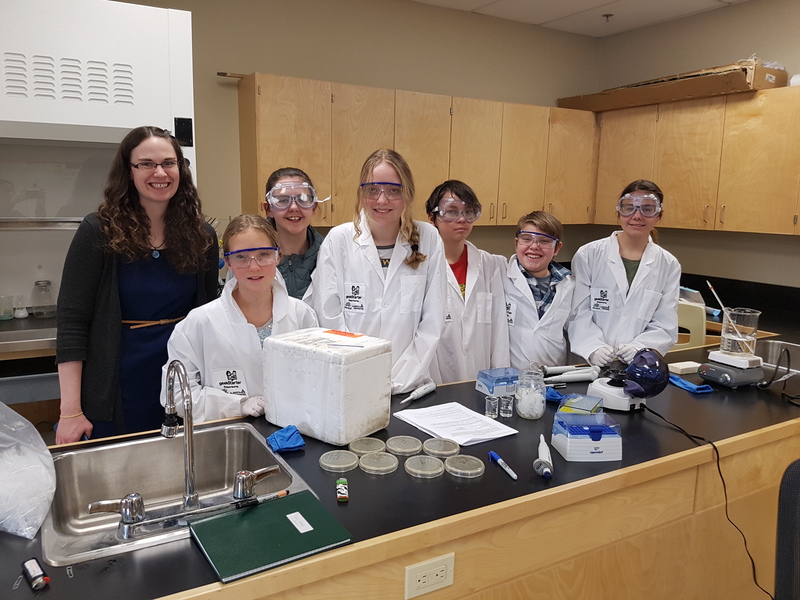 She looks forward to her fourth year mentoring the Lethbridge High School iGEM team. She joined as a mentor again this year to continue working with the next generation of innovators and scientists. Vimal graduated from University of Calgary in 2017 and he holds a PhD in the field of Geomatics Engineering. He conducts research in areas such as GPS and navigation, indoor positioning, computer vision and Machine Learning (ML) algorithms. Currently, he works with a high-tech Startup, Takemetuit Inc., located in Calgary. Beyond his work and research, Vimal has been actively involved in STEM programs through University of Calgary Robotics Association (UCRA) since 2014. He has been a FIRST Lego League (FLL) mentor, and took on various other volunteer roles as well. Currently he is a program coordinator and lead mentor for two UCRA programs: FIRST Lego League and Discover Electronics. This year Vimal has decided to also sign up as a geekStarter mentor and is excited for the opportunity.